The weather becomes hotter and hotter every year. The demand of having a picnic or vacations at the beach is strongly increased. Of course, it would be a big mistake when enjoying the holiday at the beach without a perfect beach tent. If you have plans to spend your holiday at the beach but have not decided what beach tent to choose, keep on reading this article, we are sharing with you a list of the best baby beach tents so that you are easier to see and make the final decision. Pacific Breeze Easy Up Beach Tent Deluxe impresses customers at the first sight with its exotic large size and blue color. It is perfect for the picnic of your whole family or a group of friends. In addition, you will be surprised at the time for a setup; that is why this kind of beach tent is estimated as the fastest and easiest pop-up tent to assemble. A set of Pacific Breeze tent contains a carrying case, 5 sand pockets, interior pockets, stakes, spacious interior shelter, durable and lightweight fiberglass. Especially, it is equipped with UPF 50+ for sun protection and PE waterproof floor, 3 X-large windows for ventilation, so you don’t need to worry about sun or rain throughout the holiday. One more interesting things of this tent is about its warranty policy from the manufacturer within 1 year. 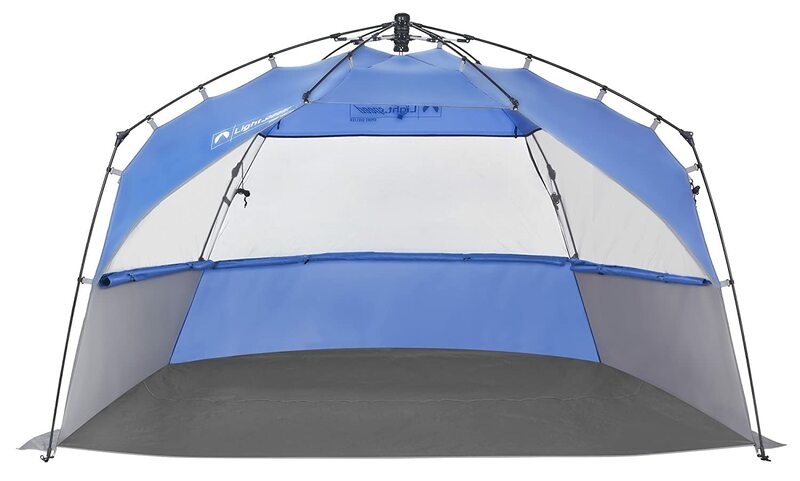 With those great features, it has, there is no reason for ignoring this must-have beach tent. If the Deluxe XL version is too large for your requirement, you can consider Pacific Breeze Easy Up Beach Tent, L version. It is another version of the Pacific Breeze series with the same characteristics. For this tent, you will feel interested in its convenience that you don’t need to assemble it but just open the bag and instantly pop it up. How easy and funny it is for your family vacation. With the simple and unique design, the Shade Shack is satisfied by thousands of customers. Do not think that it simply is resulted from bad quality. The tent has three full walls with 30+ UPF to protect us from the sun, an instructional DVD, rear and side windows open for closed privacy and a cool breeze as well as a perfect sea-view. Each person in your family will surely have enough space to rest and play. By all of its benefits, it is a great option for the family with younger children. From the general look, G4Free pop-up beach tent beats all competitors by the extra size and smallest weight (around 2 pounds). Even your family has almost adults; there are still enough rooms for them. It is also easy-to-use with no assembly required; you just take several seconds to pop up and built the tent. Especially, the fabric surrounding it is coated with special silver to make sure the Anti-UV effects. Moreover, the materials of G4Free pop-up beach tent are specially made to against strong wind. Therefore, be comfortable because you are always protected. You can use this tent for camping, fishing and at the beach. It is portable with a large carry case. You may be so happy to know that the manufacturer agrees to refund or give you a replacement if the tent does not satisfy you. So wonderful and you should right now buy one for your next holiday at the beach. 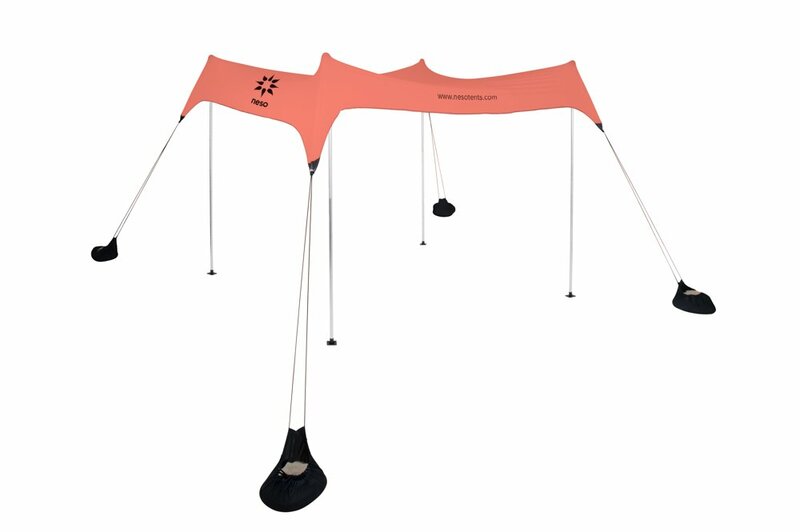 If you look at the Neso Beach Tent, you might feel that it is too simple. However, simple is the most outstanding of this kind of tent. You are able to easily carry it anywhere, easily set up it and easily put it into the suitcase. Sand, rocks or other resources will weigh down its corner sand anchors naturally. On the other hands, the tent is guaranteed 50+ UPF to protect your skin against the sun as well as its water repellent for rain. Seating under Neso Tent, you are able to open your viewpoints as much as you can. If you love the simply, this is the best beach tent for you. You would love the design of Lightspeed Outdoor Shelter due to its canopy style that makes us feel more comfortable and easier to have a sight-seeing under the shelter. The tent provides us a large space enough for the whole family of four or five people. Furthermore, let’s feel free to play under the shelter because it has UPF 50+ to protect your family from sun protection. The Lightspeed Outdoor shelter only weighs about 7 pounds and is equipped with an oversized carry bag; therefore, it is more convenient for you to bring it along. One more attractive point of this tent is from the high-qualified & durable floor. Similar to Pacific Breeze tent, it also has the 1-year warranty for both beach shade canopy tents and all of the sun shelters. What a fantastic tent you may need for your vacation! Buying the best beach tents is not a simple task if you have no experience. In order to buy a beach tent that works the best for your needs, you need to consider carefully base on some important factors. For example, if you have a baby you have to find the tent that your children can freely play and build sandcastles all day, so a tent without a floor is a great option for you. Or, if you go with a toddler, you should find a small, completely enclosed tent so that everything in the outside world will be blocked out and they are likely to take a nap. If you search for beach tent styles on the market, you are certainly overwhelmed of so many kinds of beach tents with various styles. You will see some tents are designed with floors whereas some are not. If you love sightseeing, a beach tent with open style from all sides or the tent with three walls may be great ideas. There will be tents with extended flooring or without flooring for you to choose. In case you go with a child, a tent with the detachable floor is number one option for you; with this kind of beach tent, you can let your children build sand castles without any worry. Besides the style, you need to take much attention to the size of beach tent. Before you choose the beach tent, you had better consider how many people going for a holiday with you so that you are easier to choose the most appropriate tent that can fit comfortably. Remember that even a table or a chair you put inside also take a considerable room of the tent, so take this into account. It is obviously that the smaller tent will be much more portable than the bigger one as you can carry it around easier. Hence, size is an important factor to consider when buying a beach tent; don’t buy the tent with too large or too small size. Always ask about its packing to check whether it is easy to keep and move around or not. 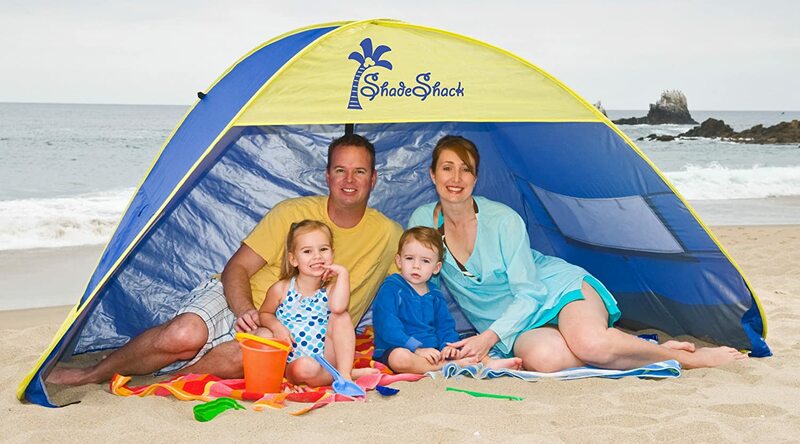 The best beach tent should make sure to safely fit your whole family and all of your belongings. – How easy is the tent set up and taken down? – Where will the tent be used in? – How much space does it take in the garage or car when it is not in use? As you know, your skin will be extremely damaged if being exposure to the sun for a long time, even adult skin or baby skin. When going for a vacation on the beach, of course, you get more chance to expose your skin to the sun. Apart from wearing sunglasses, a hat with back flap and a brim, sun protection clothes, or using sun cream on your skin, another way to protect the skin from the sun, UV-B and UV-A rays is using a beach tent whose fabric have features in sun protection. Most of the good beach tents are made with a special coating on the material in order to block you out the harmful rays of the sun as well as protect you from sand, strong winds and rain during the vacation. 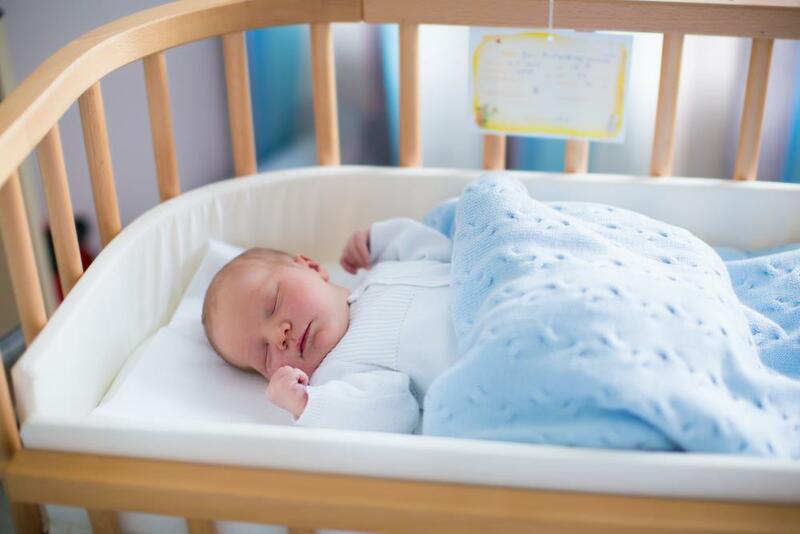 If you have a baby, you have to pay special focus on considering the tent’s fabric. However, you should bear in mind that the kids are every active, consequently, a good fabric cannot keep them from the sun at all times. One more point of the tent’s fabric you should keep in mind is that whether it can make a good air circulation or not. The beach tent with a canopy that has all sides open would be your great choice. If you choose the tent with sides, you should consider mesh windows so as to allow the air to circulate. Do you want to spend much of your time struggling with setting up a tent on the beach? I believe that no one would love so. Among numerous kinds of beach tent on the current market, the pop-up tents (with no assembly required) are the easiest and simplest tents for everyone. Very simple, just only by unpacking it, extending the poles and then securing them by the pegs has your tent been already built. Taking it down is also as simple and quick as building it up and you can save more time for other activities. Obviously, if you finish the holiday on the beach at the end of the day, you are probably about to be tired. Therefore, it would be better to choose the tent that is easy to unfold and keep. For this situation, a pop-up tent shows it outstanding feature again. The pop-up tents are so convenient but they are not always available for a large size. For larger tents, they often offer many large canopies for assembly. At any rate, based on your needs to choose what beach tent is the most suitable. One of the key factors to ensure the quality of a beach tent is the tent pole because it reflects the strength and durability of a tent. 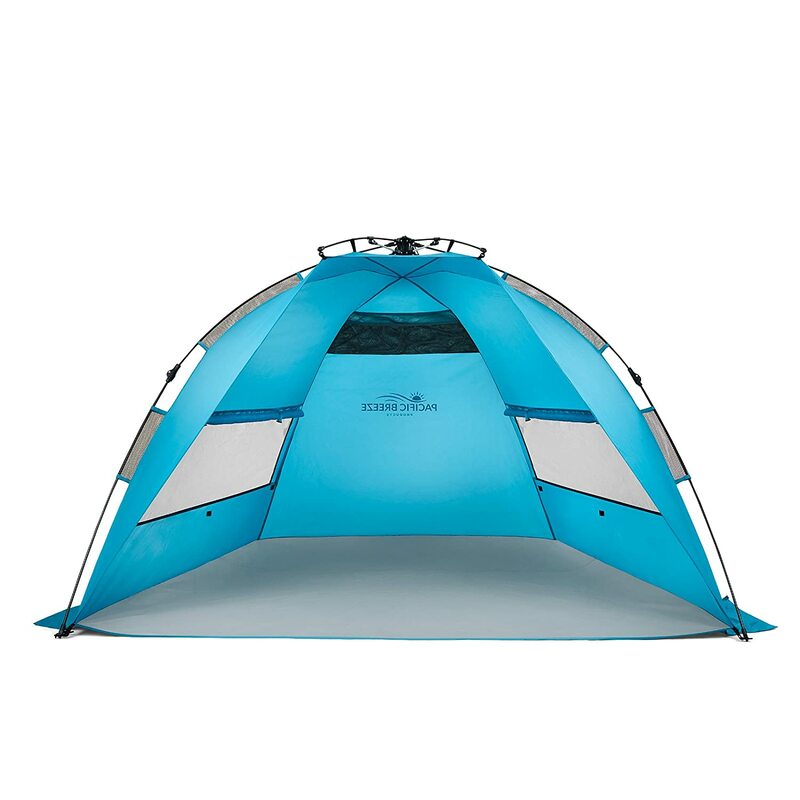 The pole of a tent also contributes to evaluating the price of the whole tent. For instance, the tent used fiberglass is much cheaper than the one use aluminum because its durability is much less. When searching the beach tents, you can find out that almost tents use steel, aluminum or fiberglass. Nevertheless, the lightest, strongest, most durable tents have the pole made of carbon fiber. Of course, you should not surprise to know that its price is the most expensive. The pole of a tent made of steel is durable and strong, however, it makes the tent heavier than other materials. The large canopy tents often use this kind of material. On the other hand, aluminum is light, rigid and durable. You can see it in small and high-quality tents because its price is more expensive than the others. There are numerous options for you to choose. If you are searching the beach tent for small families, the Pacific Breeze Easy Up Beach Tent and Shade Shack Instant Pop-up Family Beach Tent and Sun Shelter are good recommendations. If you want to find a larger tent for your big family, you should consider Lightspeed Outdoor XL Sport Shelter Instant Pop Up. If you are going to have a vacation at the beach, let’s save your time by reading this summary of the best baby beach tents and decide which type of beach tent meeting your requirements.